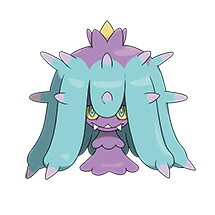 This page contains all the information available for Mareanie in Pokemon Ultra Sun and Moon including the moves learnt by level up, egg moves and TM moves. Limber The Pokemon is protected from paralysis. Merciless The Pokemon’s attacks become critical hits if the target is poisoned. Regenerator Restores a little HP when withdrawn from battle. Sun and Moon Route 9, Melemele Sea.